School uniform is desirable and removes the element of competition among pupils. 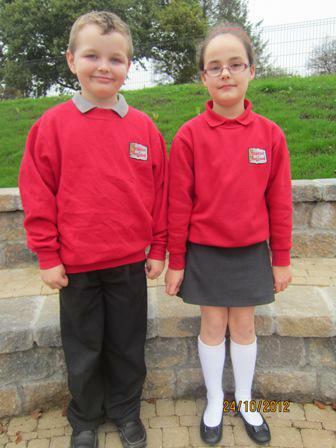 All pupils wear school uniform. A coat or red school fleece may be worn when outside. 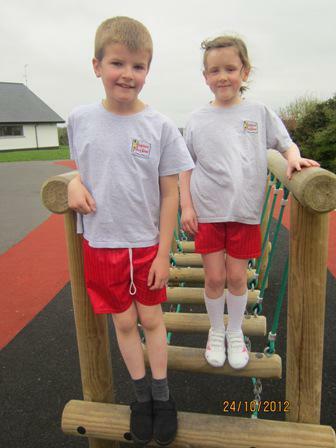 Year 1 - 7 - school t-shirt and red shorts. These should be kept in a strong, named PE bag and kept in school. P.E. Bags are available in School at a cost of £3.00. The school sweatshirt (with our embroidered logo), the school fleece, the embroidered t-shirt and girls’ trousers are available from SELECT KIDZ, Wellington Road, Enniskillen or S. D. Kells (Lisnaskea and Enniskillen). It would be most helpful if you could ensure that your child’s name is clearly marked on each item of clothing, including the coat.